Home Event Workshop Flower basics, the english edition. How do you enjoy your flowers longer? Why cut off with a kniff? And learn to arrange a beautiful bouquet in your own most difficult vase. 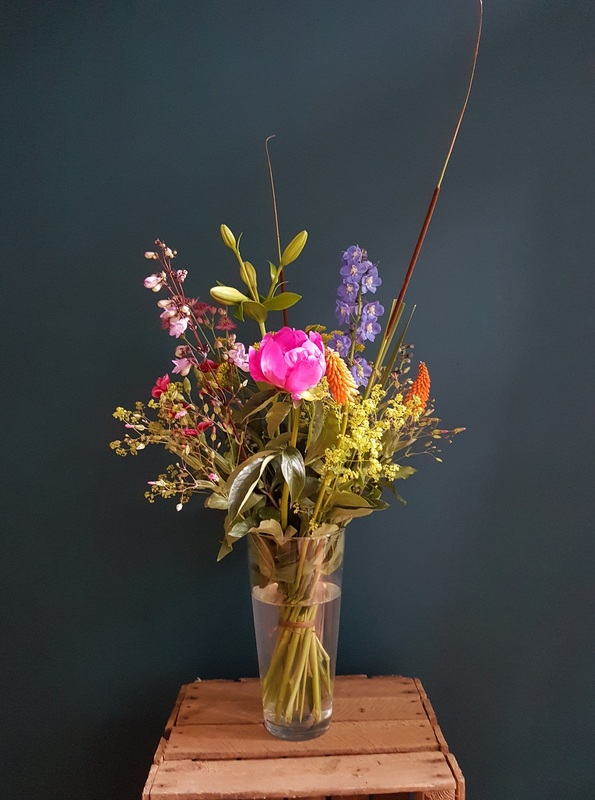 The name of this interactive workshop says it all: the basis of flower arranging for home. Different types of styling, combinations and color schemes are demonstrated. Then you make a combination of flowers in a vase from home. So you also go home with a beautiful bouquet! Dennis takes you to the flower cellar, the flower shop under the store in Amsterdam. You can choose from a wide range of flowers to make your flower arrangements. Ask a lot of questions about the myths and the right techniques.